Throw on your camera strap and buckle your seatbelt. VBS 2019 takes children on a wild adventure—with elephants and egrets, polar bears and penguins, cockatoos and crocodiles. As they seek out exotic animals, children also find snapshots of real-life encounters with Jesus in Scripture. Kids go from bewildered to believing as they get In The Wild at this summer’s VBS. We would love to have your help at VBS 2019! Set Up/Tear Down - Provide assistance with stage prep, moving tables/chairs etc. 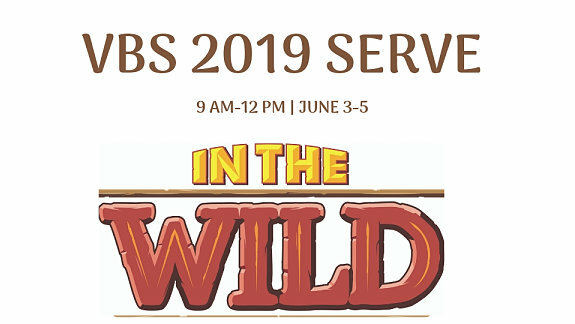 Register today to serve at VBS 2019.